5 letters Christmas 2018 pictures description with four pics one word Christmas costume, Nativity play, Tree decoration, All in white. Guess the word and earn coins! Hohoho: have you been good and have you been playing 4 Pics 1 Word? Go ahead, do it! Your eyes will open wide when you see the daily puzzle! You will love the stickers. Play the daily puzzle now! Happy Christmas time on December 2018 ! 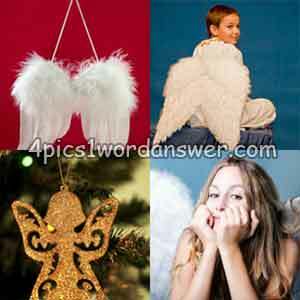 Sweeten the holiday season with the 4 pics 1 word Christmas edition! New Daily Puzzles! Have you discovered the Christmas puzzles? 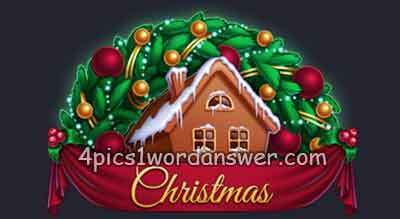 Earn more coins and get all the Christmas badges from the 4 pics 1 word Christmas 2018 edition!